We are manufacturing, exporting and supplying a comprehensive array of Cyperus Scariosus Root at market leading rates. 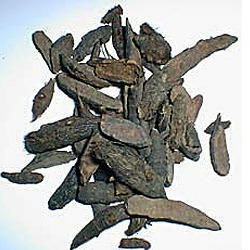 It is used nervine tonic, diuretic, diaphoretic, febrifuge, vermifuge, hemostatic, hypotensive etc. Used in the manufacturing of soaps, medicine and incense sticks. Established in the year 2011, at Nagpur (Maharashtra, India), we “Sunshine Impex” are a “Partnership Firm”, engaged in manufacturing and supplying a finest quality range of Cassia Tora Seed, Terminalia Chebula, Gymnema Sylvestre, Niger Seeds, Cyperus Scariosus Root, Andrographis Paniculata, Calamus Roots, Jatropha Seeds, Woodfordia Fruticosa, Ocimum Basilicum Seeds, Flax Seed, Fenugreek Seed, Semecarpus Anacardium Seeds, Chlorophytum Tuberosum, etc. Under the visionary direction of our mentor “Mr. Kunal”, we have been beneficially succeeding in this highly competitive industry by accomplishing the exact requirements of our valued clients.